Established clients can schedule online. TSRM is not accepting new clients at this time. Package rates are also available! Packages are a great way to save money while taking care of your health. Established clients in this office can book several appointments ahead of time and get on a wellness roll! All rates are subject to MN State Sales Tax of 6.875% and Fairmont Local Tax of .5%. Rates are subject to change without notice. Thank you! Cash, check, Visa, Mastercard, Discover, and American Express are accepted forms of payment. Payment is due at time of service. Gratuity is accepted, but not required. 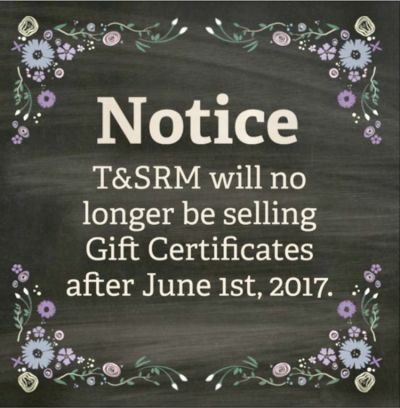 TSRM does not sell gift certificates for services. If you would like to give a massage as a gift, please consider giving the person a personal card with cash or prefilled check to TSRM to use at their discretion. I also have retail items available in-store, please email to arrange a time to view items or with questions. If you have received a gift certificate for this office, it is valid until the expiration date. Expiration dates cannot be extended.